Introducing PI VR Human Body! This app was developed to accompany a book, Encyclopædia Britannica: The Human Body. 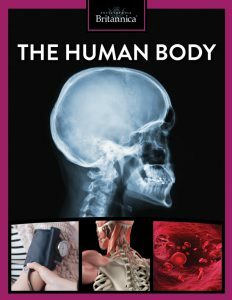 In the book, find out about the human body from head to toe. The different systems of the body are explained, from the skeletal system to the nervous system, as well as information about sleep, the senses, how memory works, diseases, and more. Detailed illustrations let you see each of the body’s system. In the app, see your immune system in action. Shrink down to see inside the human bloodstream as the body fights off an infection, and find out more about allergies and antibodies! To use the app, you will need a VR viewer, such as the one packaged with your book or set of books. If that viewer has been lost or damaged, you can try another VR viewer. For the viewer included with the book, set up the viewer as shown on page 1 of the book. Launch the app. You may be asked to calibrate your viewer by scanning the QR code found on the bottom of the viewer itself. You will be able to change your viewer settings later in the options menu. The first time you use the app, you will be prompted to scan the QR code found on page 1 of the book to verify your possession of this book. You will see a double image on your phone. Insert your smartphone into the front compartment of the VR viewer. The line between the two images should line up with the notch at the center point of the viewer, between the two lenses. If your screen seems blurry, make sure the smartphone is aligned precisely with the center of the viewer. Adjusting the phone left or right a few millimeters can make a big difference. The tilt of the viewer and the phone can also affect how the screen looks to you. Look around to explore! PI VR Food does not require a lever or remote control. You control each interaction with your gaze. When you see a loading circle, keep your gaze focused until it loads fully to access videos, slideshows, and games. Gaze at the X to close out of video, slideshow, or game screens. I already bought the book. Does the app cost anything extra? No, the app is available to download at no cost for people who have purchased the book. Can I still download the app if I haven’t bought the book? You can! When asked, please scan the QR code below to access the content. Does the book work with all smartphones? Compatible operating systems are Android 4.1 (JellyBean) or later and iOS 8.0 or later. The app is designed to work with smartphones with a screen size of up to 6 inches. Removing your device from its case may provide a better fit in the viewer. If your smartphone meets the above operating system requirements and has gyroscope functionality it should support GoogleVR. I was asked to allow the app to take pictures. Do I need to allow this? Yes, this allows the app to take a picture of the QR code in your book in order to validate your purchase and access the accompanying app. I’m getting a pop-up that this app won’t work without Google VR Services, asking me to install it before continuing. Do I need to do this? Click Cancel; it should not prevent you from running the app successfully. How do I calibrate my viewer? 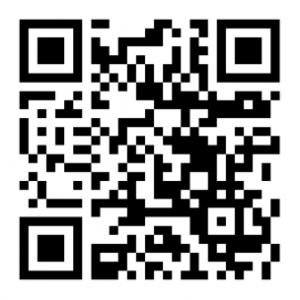 If asked to calibrate your viewer, scan the first of the QR codes found below. If the picture seems blurry afterward, touch the small gear icon that appears at one corner of your screen. You will then be given an opportunity to switch viewers. Scan the other QR code found here. Some smartphones work better with one calibration, while others work better with the second. Caution: The viewer should not be exposed to moisture or extreme temperatures. The viewer is not water resistant. It is potentially combustible if the lenses are left facing a strong light source. Apple, the Apple logo and iPhone are trademarks of Apple Inc., registered in the U.S. and other countries. App Store is a service mark of Apple Inc., registered in the U.S. and other countries. Google Play and the Google Play logo are trademarks of Google Inc. Nexus is a trademark of Google Inc. Samsung and Galaxy are trademarks of Samsung Electronics Co. Ltd. MOTOROLA and the Stylized M logo are registered trademarks of Motorola Trademark Holding, LLC.